I have been looking for a palette I can travel with, for quite some time now! 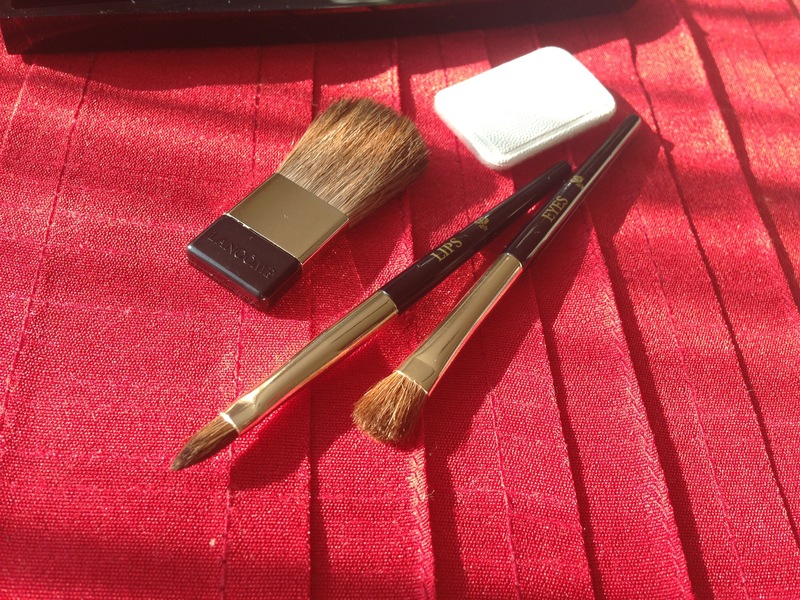 After going to Spain for a day and only carrying hand luggage, I realised that I didn’t have any palettes or sets which had everything I needed for an overnight stay! 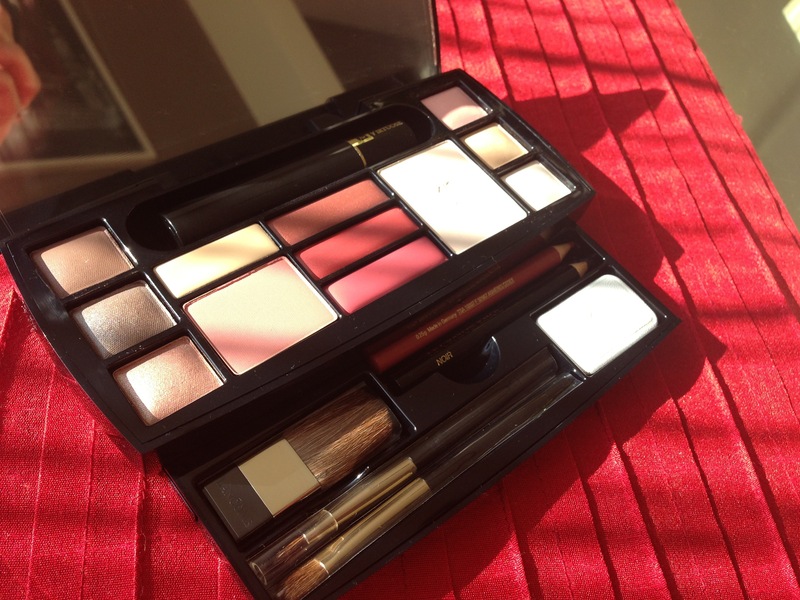 When I went to the airport (Heathrow and Madrid), I saw a palette by Lancôme which looked fabulous!! 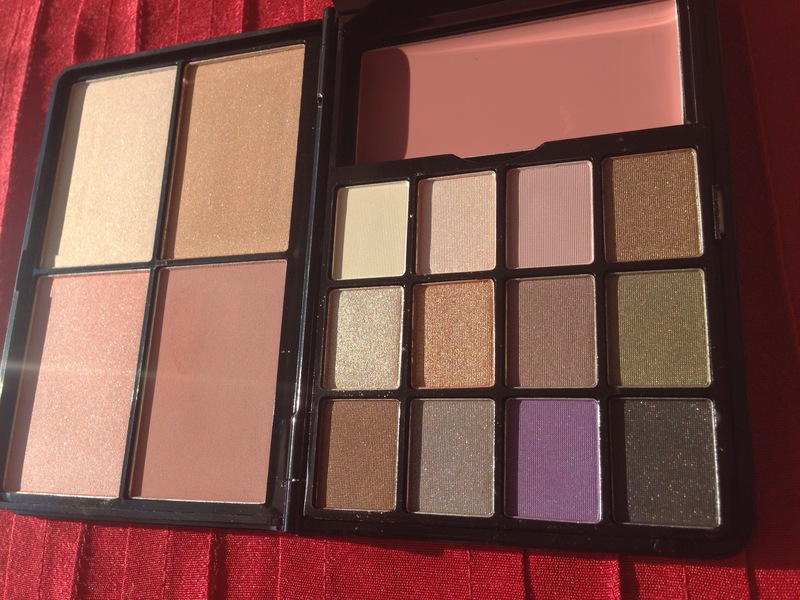 However, they had a model of this palette on the display and I was so disappointed because it was tiny!! And was over £50! When I came home, I went straight onto eBay and found it for less than half the price from a UK seller and behold it arrived the very next day.. EXCITED!! 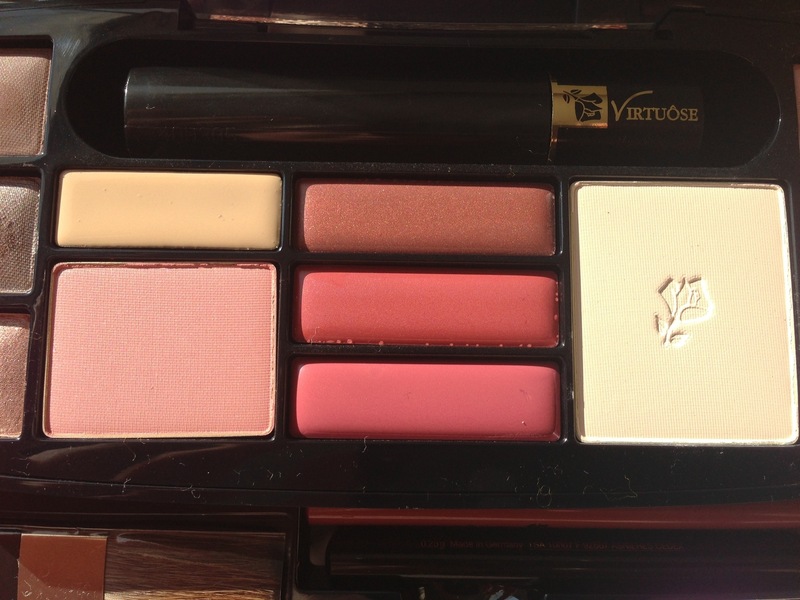 The palette is called ‘Absolut Voyage’ and is only available from Airports or online I’ve noticed. A short time after, I realised I had never purchased anything from BeautyBay.com before, despite being CRAZY about make up so after visiting it, I saw this fantastic ‘Little black book of beauty’ from Too Faced. 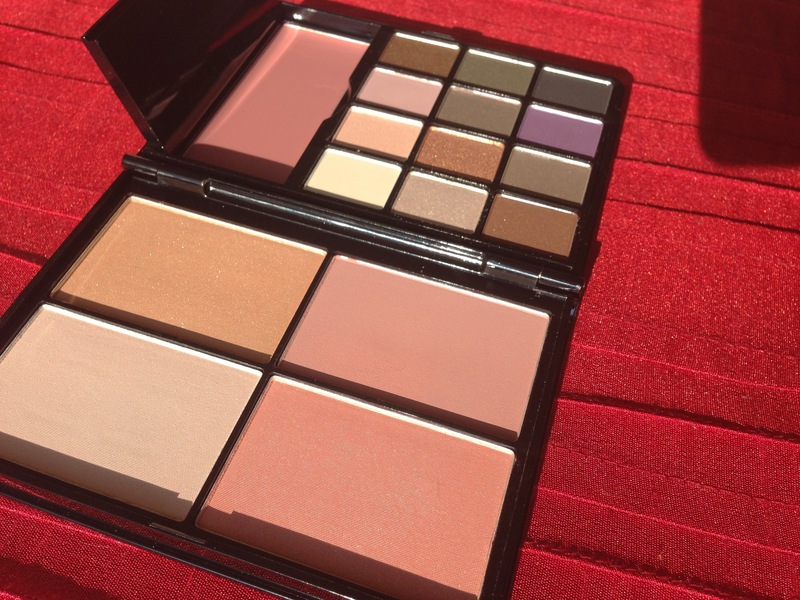 Having tried a lovely palette from Too Faced recently, I knew this one would be FAB! And also, it was on sale for £27! BeautyBay deliver free worldwide.. BONUS!! 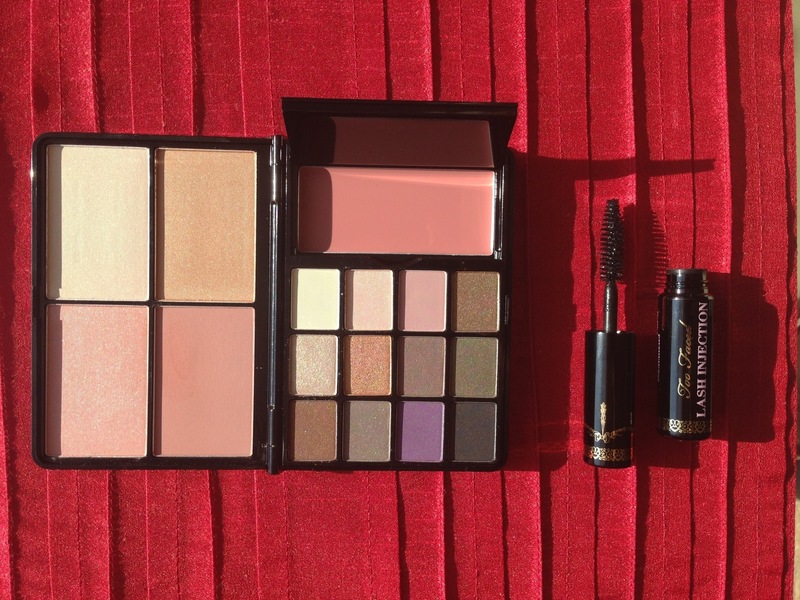 The palette looked full of all sorts of goodies which would be perfect for travelling! 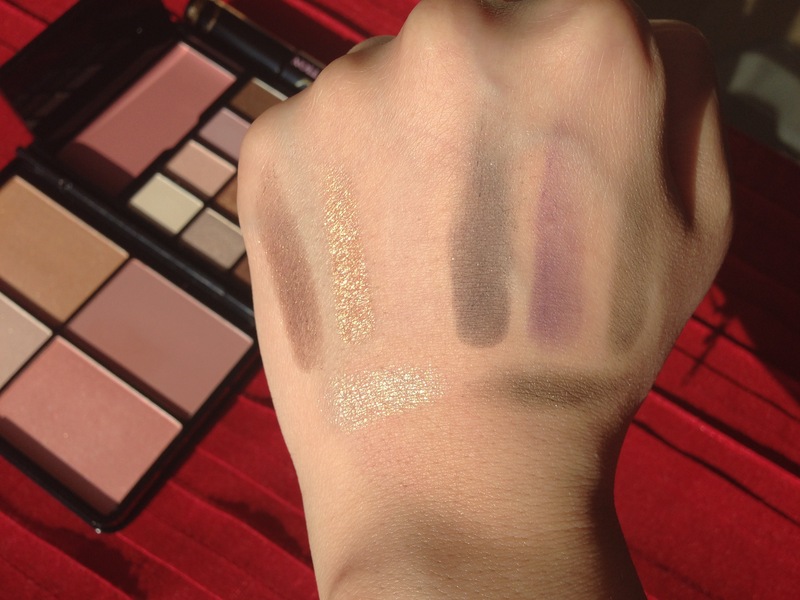 You can imagine, the quality of the products are amazing and each eye shadow and everything else is so well pigmented!! I was so pleased with all of the colours included as I would wear them all and it’s versatile for any skin bar, the concealer however, even this could be worn as a highlight for a darker skin tone! 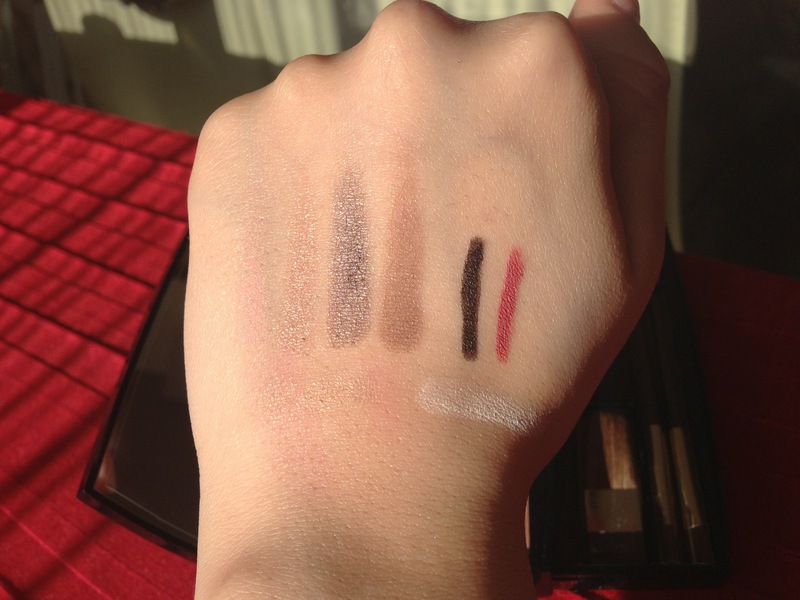 Some of the matte eye shadows were almost transparent and had no pigmentation to them at all however, the rest were fantastic quality! I love the fact that the face products and lip gloss they give is so big and the packaging is tiny, so very easy to carry! All in all.. 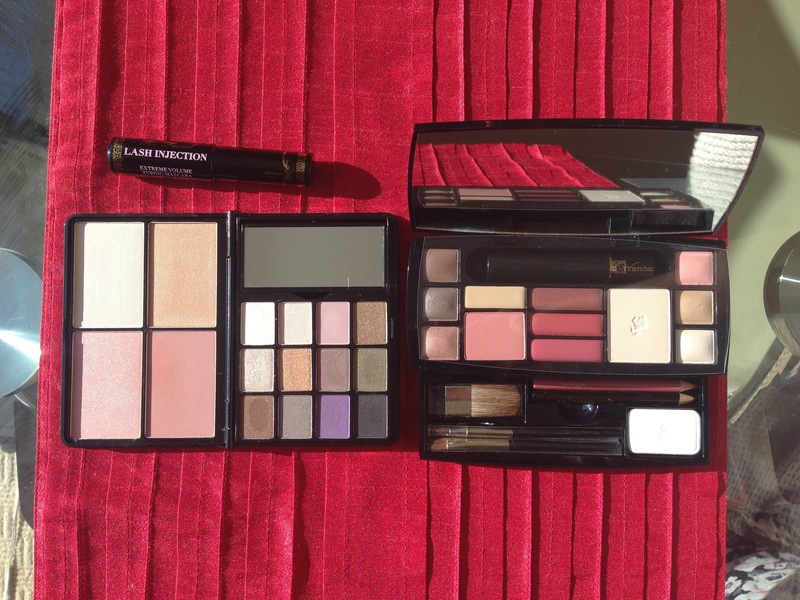 I think the Lancôme palette is the one for me! 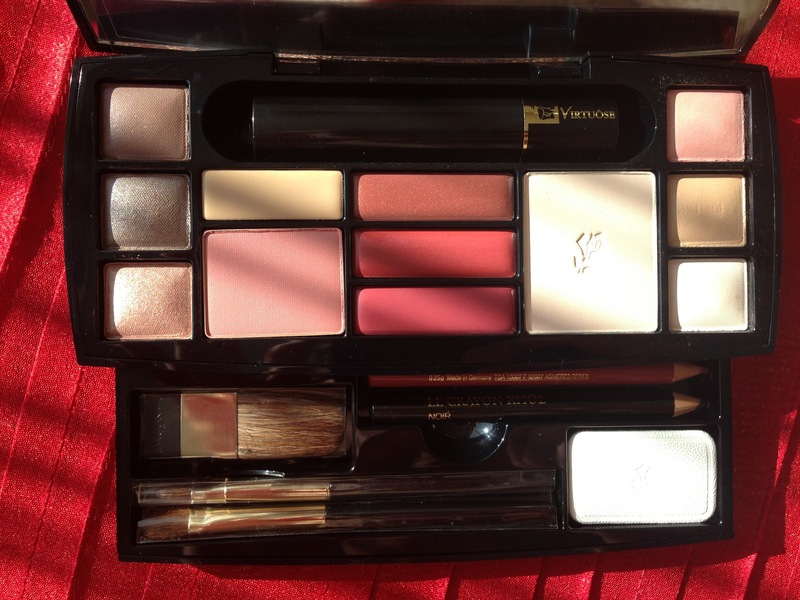 It has everything you need and the size of the palette is the best. 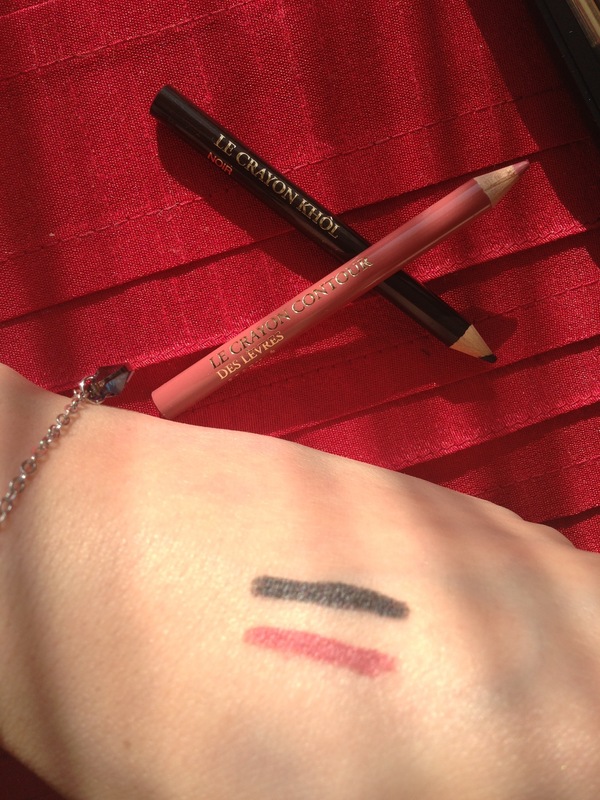 The pigmentation of all of the products is lovely and the colours are versatile. The Too Faced palette is lovely to look and the cheek products are a fantastic size! 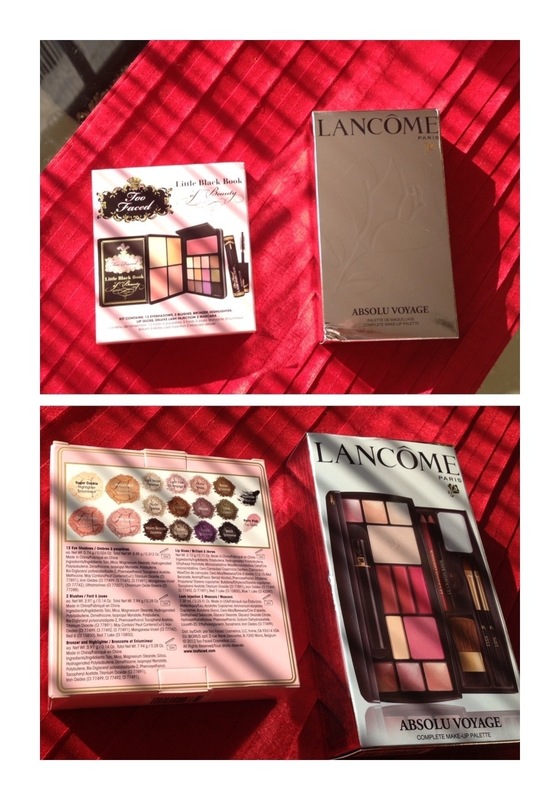 The mirror of the Lancôme palette is far greater and although I love the fact that under theToo Faced palettes’ mirror, the lip gloss is protected, I would rather that the cheek products are covered because they go directly onto skin! For the amount of money you pay.. LANCÔME WINS!! Too Faced KO!